Core Background | Replace the RUC! The following 8 articles – they’re all very brief and very readable – have been posted for the reader who wants to quickly get a solid background on the RUC and the issues it has presented for primary care, the US health care system, and the larger US economy. A few weeks ago, my writing partner David C. Kibbe and I ran an article on Kaiser Health News called “Quit the RUC!“ that caused some turmoil within the physician community, particularly in DC. First, it noted that the RUC, the informal specialist-dominated AMA panel, has made recommendations for 20 years about the value of medical procedures within the highly arcane and jiggered Resource-Based Relative Value Scale (RBRVS). As the Wall Street Journal recently reported, CMS (and its predecessor, HCFA) has accepted some 90 percent of its recommendations, apparently almost without question. It shouldn’t surprise anyone that the vast majority of recommendations involve payment increases to specialists that have come at the expense of primary care. This combination – a regulatory agency blithely accepting methodologically questionable recommendations about payment from a highly conflicted advisory panel – is at the heart of the American health care cost crisis and the greatest reason why the American economy is literally being bankrupted by its health care costs. This year alone, we’ll spend about $1.3 trillion on health care products and services that provide no value. This is two-thirds again more than we’ll spend over the next decade on the economic stimulus package. David and I argued that the RUC’s outrageous behavior has been “enabled” by the ongoing participation of the primary care medical societies – the American Academy of Family Physicians (AAFP), the American College of Physicians (ACP), the American Academy of Pediatricians (AAP) and the American Osteopathic Association (AOA). These societies’ members and their members’ patients have been increasingly compromised by the RUC’s actions, that have translated to poor primary care reimbursement, poor quality of care systemically and a system that favors complexity and expense. We called on the primary care societies to “loudly and visibly” abandon the RUC and, by doing so, de-legitimize and shine a bright light on the process. We urge the RUC’s replacement by a new panel that is more independent and balanced, and that is less conflicted. And we advocate for the development of an alternative payment system to RBRVS that appreciates complexity but also measurable value. I have been working on this project with Paul Fischer, MD, a family physician in Augusta, GA who became nationally prominent for his early work against tobacco companies. I’ve known Paul for several years, and was immediately impressed by his passion about “the death of primary care.” Paul and I have developed a modest Web site, Replace The RUC, that provides credible content about the RUC and RBRVS, as well as prepared letters that primary care physicians who agree with our position can send to their societies. If you believe this is useful and important, we hope you’ll pass it along to all colleagues who might be in our camp. This is the wonderful power of the Web, and we should use it to advantage. One last thought. There will be charges that this is about getting more money for primary care. It is, but that is the least of the goals. The real goal is to wring a hefty portion of the immense waste out of America’s health care system by re-empowering primary care. It is impossible to overstate how important this is for the future of our country. To our minds, it should be something that all Americans, Republicans, Democrats and Independents, can agree on. Brian Klepper is a health care analyst and Chief Development Officer of WeCare TLC, an onsite clinic firm, and is based in Atlantic Beach, FL. Along with many others, I have written extensively about the need for more primary care physicians in the US. I have also addressed the various disincentives that exist for medical students to enter primary care specialties, such as family medicine, rather than narrower subspecialties or procedural specialties. One of these is the lower income earned by doctors in primary care; this is felt by many to be one of the major issues in specialty selection, and is increasing in importance as students graduate from medical school with larger and larger debt burdens, often exceeding $200,000. A study by the Robert Graham Center of the American Academy of Family Physicians (AAFP), “Income disparities shape medical student choice”, finds that the difference in income between primary care on subspecialists has been increasing since 1981, and that by now there is a difference of $3.5 million in the lifetime income of the average subspecialist (not even the most highly paid) and the average primary care physician. So why is there such great variation in the reimbursement of different specialists? It is not on hours worked; many studies have taken this into account and found that on an hourly basis there is a great variation. The Wall St. Journal’s Anna Wilde Matthews and Tom McGinty, in “Physician panel prescribes the fees paid by Medicare”, describe a study done for the Medicare Payment Advisory Commission, MedPAC, that found a wide-range in per-hour reimbursement, from $101 for primary care physicians to $161 for surgeons to $193 for radiologists and $214 for dermatologists. It is not on the basis of length of training; all physicians go to medical school and the training, for example, for surgeons is considerably longer than that for dermatologists. Is it how hard the work is? After all, not everything is brain surgery. Well, to an extent, but there is considerable latitude in how “hard” is valued. What about “necessary to the health of a person” or “necessary to the health of the population”? Hardly. Let’s discuss this some more. First, it is important to understand that the reimbursement paid to physicians by Medicare is essentially the basis for payment from all payers; contracts and reimbursements are almost always based upon multiples of what Medicare pays. Depending upon the size of the physician group negotiating with an insurance company, the particular multiplier may be greater or smaller, but Medicare reimbursement is the yardstick. Medicare payment itself is based on a formula that is primarily based upon the work that a certain activity involves, with several smaller modifications (regional variation, malpractice cost, etc.). This formula is described by health economist Uwe Reinhardt in his December 10, 2010 Economix blog for the NY Times, “The little-known decision makers for Medicare physicians fees.” Based on complex (or not) scenarios constructed for this purpose, the amount of “work” involved in over 7,000 “procedures” (for this purpose, “procedure” includes things like office visits of varying length and complexity) are assigned relative value; indeed they are assigned “relative value units” (RVUs). But over time things change. A surgical procedure that might have taken a long time and required a hospital stay may now be done quickly in an outpatient setting. Counseling and managing several complex diseases in a primary care setting may take a lot more work and time. So the relative values may change, and reimbursement could go up or down for any of these “procedures”. Except that, in order to keep Medicare spending from spiraling even more out of control that it has, the total number of RVUs has to stay constant. So when the number of RVUs (specifically, work-RVUs, or wRVUs) for one procedure goes up, those for others have to go down. Enter the RUC. Several recent articles, included the Matthews and McGinty and the Reinhardt pieces cited above, have addressed the role played American Medical Association’s (AMA) Relative Value Scale Update Committee, or RUC, an organization most physicians, not to mention most other Americans, have never heard of. This group of appointed doctors makes recommendations to the Center for Medicare and Medicaid Services (CMS) about the relative amount that Medicare should pay for different physician activities. While not required to do so, CMS takes the recommendations of the RUC more than 95% of the time. While about half the services provided by physicians are in primary care, primary care doctors, according to an article in the New England Journal of Medicine by Washington state Congressman and physician Jim McDermott, “Harnessing our opportunity to make primary care sustainable”, only 6% to 13% of the 29 physicians on the RUC are in primary care. While they are supposed to be unbiased toward their own specialties, this does not seem to be what happens. Psychologically, even when they are trying to be fair, they know more about what they do and how “hard” it is than they do about what others do. Concretely, it may be easier to measure the work involved in “1 colonoscopy” or “1 gall bladder surgery” or “reading one chest x-ray” than the complex variation in primary care visits. In any case, the record demonstrates that RVU assignment, and thus reimbursement, has continued to go up for specialist procedures and thus down for primary care. So we have a bunch of physicians, appointed essentially by their specialty societies, making recommendations on how much physicians should get paid, and a bunch of specialists deciding how to value what they do compared to what others do (certainly a conflict of interest, as defined by Howard Brody and discussed by me in The AAFP, Coca-Cola, and Ethics: Serving the public interest?, August 20, 2010), and a tremendous dominance of non-primary care over primary care physicians among this group. Why should we be surprised that we get the results that we get? Different solutions have been proposed. Klepper and Kibbe suggest that the primary care professional groups drop out of participation in the RUC altogether (“Quit the RUC”). Reinhardt feels that there is value in getting advice from this independent group, but that CMS should be much more cautious about taking its recommendations. McDermott agrees, or suggests that at least the number of RUC members be adjusted or increased to include a much larger percentage of primary care physicians. One or more of these solutions needs to occur. Most importantly, the solution needs to look at overall benefit when assigning reimbursement value. I considered titling this piece “Wreck the RUC” (alliterative and less offensive than the other obvious, rhyming, option). If we are interested in improving the health of the American people, we need more primary care doctors, and we need to address all the open and hidden factors that are in place to work against such change. The RUC is a good place to start. Josh Freeman is a physician educator writing at Medicine and Social Justice. The Affordable Care Act of 2011 stipulates that the Centers for Medicare and Medicaid Services, the Federal agency responsible for assigning work Relative Value Units (RVUs) to the service codes (such as the Evaluation and Management Codes, E/M codes used in primary care practice) “shall” evaluate undervalued codes. Over the last 20 years, RBRVS has become hugely unfavorable to primary care. CMS has been heavily influenced by the speciality dominated AMA Relative value Update Committee, the RUC. As a result, primary care compensation if roughly half or less of speciality compensation. It is small wonder that students choose specialty medicine and that the workforce in primary care has dwindled. If there is to be a rework of RBRVS, then there will have to be substantial health services research sponsored by CMS to determine the accurate “relative value” for physician work. This process should be based on direct observational data, representative survey data and accurate tools for determining the relative intensity of physician work. NONE of these attributes has been maintained by the RUC and CMS has never demanded that the RUC meets basis standards of data collection and analysis, including open peer review. CMS is under enormous pressure to curb health care costs, expand coverage (even to keep up with the aging population, there has to be an expansion of Medicare…and the ACA hopes to achieve 95% coverage by 2019). The primary care community must insist that CMS not loose track of the important opportunity and the Congressional stipulation that RVRVS be examined and reworked. The primary care professional societies must lead this effort. John D. Goodson MD is Associate Professor of Medicine at Harvard Medical School, practicing at Massachusetts General Hospital in Boston. ﻿﻿Recently, a Wall Street Journal exposeand a New York Times column by Princeton economist Uwe Reinhardtdetailed how vast health care resources are steered by the American Medical Association’s Relative Value Scale Update Committee (or RUC), a secretive, 29 person, specialist-dominated panel. Since 1991, the RUC has been the main, if unofficial, adviser on Medicare physician reimbursement – how specific procedures should be valued – to what is now called the Centers for Medicare & Medicaid Services. Many Medicaid and commercial health plans follow Medicare’s lead on payment, so the RUC’s influence is sweeping. Not surprisingly, the Committee’s payment recommendations have consistently favored specialists at the expense of primary care physicians. More striking, however, is CMS’ rubber stamping of about 90 percent of their suggestions, even though, in their last three service reviews, the RUC urged payment increases six times more often than decreases. This arrangement has played out well for specialists, but the health system consequences have been catastrophic. One significant result has been a primary care shortage. Specialists now earn, on average, $135,000 a year and $3.5 million over the course of their careers more than their primary care colleagues. The income disparity has driven all but the most idealistic medical students away from primary care. 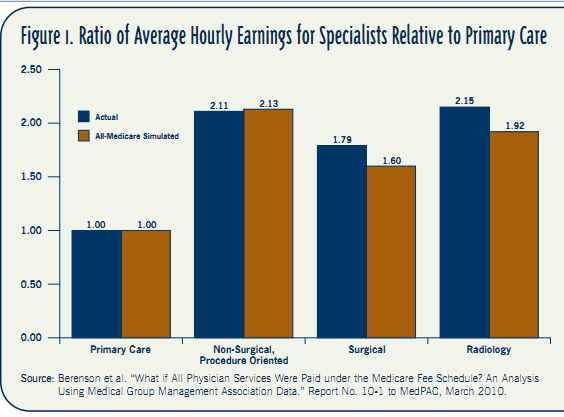 Figure 1.Comparison of annual income (median compensation) by physician subspecialty. Source: Phillips RL Jr, et al. ; Robert Graham Center. Specialty and geographic distribution of the physician workforce: what influences medical student and resident choices? March 2009. Accessed January 4, 2010. Most health care professionals acknowledge the compelling evidence that primary care reduces cost while improving quality and are chagrined by its devaluation. Susan Dentzer, editor-in-chief of Health Affairs, calls American primary care “horribly broken.” A 2008 Physicians Foundation survey found an overwhelming 78 percent of doctors in all specialties believe the U.S. has a primary care shortage. During the reform debate, advocates and critics alike wondered whether universal coverage was practical in a system in which most primary care doctors’ capacity was already saturated. But there is a more insidious and destructive issue at hand. The perverse incentives that are embedded in fee-for-service physician payments influence care decisions and are a principal driver of the health system’s immense excesses. Encouraged by the RUC, sometimes unnecessary specialty procedures may appear more valuable and appropriate than primary care services. The system pays more for invasive approaches, so conservative treatment choices that are lower cost and lower risk to the patient may be passed over, especially near the end of life. The resulting waste, half or more of all health care dollars, has fueled a cost explosion that has led the industry and the larger economy to the brink of instability. Even so, although the health law began a transition away from fee-for-service reimbursement, it gave short shrift to remedying the shortcomings in primary care reimbursement, offering a mere 10 percent boost, and only if office visits account for at least 60 percent of overall Medicare charges. One can speculate why primary care was mostly ignored. But the wealthier specialists, and the drug and device firms that support them, apparently had more influence over policy. In the absence of meaningful policy-based payment reforms, the RUC’s specialty bias continues to hold sway over payment policy. Dr. Reinhardt calls for a broader, more balanced, independent panel. We agree. Given the recent attention to the issue, it is possible — but unlikely — that CMS will move toward that approach. The professionals and organizations that benefit from the current structure will fight to maintain the status quo. So we propose a radical action. Quit the RUC. America’s primary care medical societies should loudly and visibly leave, while presenting evidence that the process has been unfair to their physicians and, worse, to American patients and purchasers. Primary care physicians have tried to change the process, but to no avail. Leaving would de-legitimize the RUC, paving the way for a new, more balanced process to supplant it. There are times when hopeful discussions and appeasement simply enable the continuation of an unhealthy situation. Abandoning and replacing the RUC would be an important first step toward re-stabilizing primary care, health care and the larger economy. Brian Klepper, PhD and David C Kibbe, MD MBA write together on health care issues. The views stated are their own. Although David Kibbe is a senior adviser to the American Academy of Family Physicians, this commentary is not associated with the AAFP. Early this month, a group of 29 doctors gathered in a modern conference room at the Hyatt Regency Chicago, a few blocks from Lake Shore Drive. Over the course of four days, the little-known group of mostly specialists made a series of decisions crucial to the massive government entitlement program known as Medicare — issuing recommendations for precisely how Medicare should value more than 200 different medical procedures. As the members of the organization waded through technical discussions ranking procedures by how much time, skill, and mental effort they required, more than 100 invitation-only consultants, lawyers, and medical society representatives hunched over their laptops taking notes. If history is any indication, the Chicago group’s decisions will weigh heavily on how much Medicare pays doctors. But the members of this powerful panel are not employed by the federal government. Instead, the group is comprised almost exclusively of physicians themselves, the very people who have the most to win or lose based on how Medicare values the work they perform. Known as the American Medical Association/Specialty Society Relative Value Scale Update Committee, orRUC, the group is unknown to much of the medical profession. Yet for almost two decades, the committee has had a powerful influence on Medicare payment rates. Since 1991, the RUC has submitted more than 7,000 recommendations to the Centers for Medicare and Medicaid Services(CMS) on the value of physician work. CMS has overwhelmingly rubber-stamped RUCrecommendations, accepting more than 94 percent, according to AMA numbers. That record, critics say, means CMS is handing over some of its payment policy decisions to a physician organization with a massive and obvious conflict of interest. The arrangement has been criticized by bodies like the Government Accountability Office and the Medicare Payment Advisory Commission (MedPAC), the independent agency that advises Congress on Medicare issues. But no group has cried out louder than family doctors, who say CMS reliance on the secretive group has undervalued face-to-face consultation between doctors and patients while overvaluing expensive high-tech medical procedures and imaging. 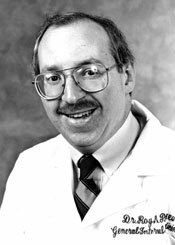 The story of how the RUC took a lead role in influencing Medicare payments to physicians began in the early 1990s, with the adoption of Medicare’s Resource-Based Relative Value Scale (RBRVS), a reimbursement system that pays doctors for medical procedures, imaging, and tests based on the relative costs of providing them. Under that reimbursement system, CMS defines physician labor in “work units,” and ranks procedures relative to each other. For example, a doctor who performs a detailed office examination on a patient with moderate health issues is awarded 1.5 work units. Brain surgery to remove a tumor is awarded 57.09 units. Physician work units account for 52 percent, on average, of a procedure’s total value. 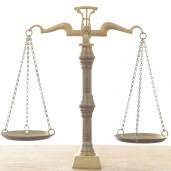 Practice expenses and malpractice insurance costs make up the rest. Each year, CMS, through the federal rules-making process, sets values for new and revised medical procedures within the system. It performs a comprehensive review of values every five years. The AMA has been involved in the reimbursement system since the beginning, serving as a contract liaison between practicing physicians and the Harvard researchers who initially ranked physician services. The role ensured medical societies were “involved in important aspects of the development of relative values for their specialties,” according to an AMA handbook. Since 1991, the AMA process to influence CMS payment rates has relied on two affiliated groups: The RUC’s 29 members, and the RUC advisory committee, which includes representatives from 109 AMA-recognized specialty societies representing cardiologists, surgeons, family physicians, and others. To develop the suggested work values for the new and revised services it passes on to CMS, theRUC directs specialty societies first distribute physician surveys that rank procedures based on time, difficulty, skills required, and other criteria. Members of the RUC advisory committee review the surveys, then propose a work value to the RUC committee. In most cases, members of the advisory committee representing specialists who perform that procedure make presentations to the RUC. For example, if the procedure is a heart surgery, a representative of the American College of Cardiology would likely help present the proposed work value. Dr. Barbara Levy, who has served on the RUC since 2000 and is the current chair, said that since specialty societies have a vested interest in the procedures, the RUC assumes their suggestions are inflated. It’s the work of the RUC process, Levy said, to reach a correct relative value. “We assume that everyone is inflating everything when they come in,” Levy said. “They are wanting to fight for the best possible values for their specialties.” During the next part of the RUC process, however, Levy said the inflated values are revised. After sometimes heated discussions of each value, RUC members vote by secret electronic ballot. If the value passes the RUC, it is sent to CMS. If CMS accepts the value, it is included in the Medicare physician fee schedule. New values are open for public comment and are considered final after one year. Dr. Neil Brooks. 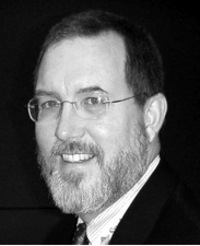 Dr. Neil Brooks, a family physician from Connecticut, was a RUC member for four years, ending in 2005. During his tenure, Brooks said RUC committee discussions ran eight to ten hours a day for three or four days. Brooks called the process “beyond tedious” as well as, initially, “opaque.” It takes “a year of doing it before you get a good idea of what is going on,” he added. The process is also highly political, with battle lines and alliances drawn between specialties, Brooks said. “Certainly there were alliances,” Brooks said. “People were protective of their turf. If radiology presented a new set of codes that had to do with imaging procedures, there was a feeling that some people would go along with that if radiology would go along with other things.” Mostly, he said, it was primary care physicians against everybody else. The AMA disputes reports of alliances within the RUC. Although it declined to make voting results public (the AMA said it does not keep records of votes), it said voting does not usually align in blocs, and is often contrary to the apparent self-interest of individual RUC members. Despite paychecks that are influenced by positions taken during the RUC, and the fact that members are sponsored by medical societies who advocate for higher Medicare payments, Levy, the RUCchair, said RUC members don’t vote to enrich themselves. “Each member votes as a member of theRUC and not a member of their specialty society,” Levy said, although AMA staff acknowledged she does not see how individual members vote. What truly happens in the RUC is secret. Votes are typically taken by electronic ballot, and RUCmembers are not informed of how other members voted. Meeting minutes are not released to the public. And all RUC members and observers agree to a confidentiality pledge that they will not disseminate documents or discussions from the meetings. Dr. Roy Poses. “These are the most important incentives that influence medical decisions in the country,” said Dr. Roy Poses, a general internist and clinical associate professor at Brown University. In 2007, Poses, who has blogged about the RUC, asked the AMA for a list of RUC members. The AMA declined, saying it does not give out the information to shield the RUC from industry lobbying. “Why isn’t this a public process of some sort? That is a huge question, and I have no idea the answer,” Poses said. The AMA did provide the current membership list to the Center, and the list is available in a book the AMA sells for $91.95, or $20 less to association members. Primary care physicians, the non-specialist doctors that patients usually visit first with a health problem, have long complained of getting pummeled by the RUC process. Although primary care physicians provide about half of Medicare physician visits, primary care physicians say they are outgunned by the surgeons and other specialists among the 26 RUC members who have voting privileges. Since the specialties are all fighting over slices of the Medicare physician payment pie, and many specialists make the bulk of their profits on procedures, primary care doctors say those specialists avoid increasing the value of the procedure codes that are primary care’s bread and butter. The AMA says the RUC has not damaged primary care interests. It disputes that primary care physicians are at a voting disadvantage, saying 14 of the 26 voting members on the RUC are from specialties whose Medicare charges are primarily derived from billing codes associated with patient evaluation and disease management. It points to 1997 and 2007, when the RUC suggested significant across the board increases for primary care codes, which were accepted by CMS, despite strong disapproval by some other medical specialties. Levy, the RUC chair, said there has been strong support for primary care within the organization. “We recommended higher increases in 1997 than CMS accepted,” Levy said. Health policy researchers and government investigators, however, have criticized the RUC process. Dr. John Goodson. Some of the harshest RUC critics have tied the organization to the decline in medical students studying primary care. In a 2010 commentary in the Journal of the American Medical Association, Dr. John Goodson, a primary care physician and associate professor at Harvard Medical School, wrote that the RUC helped foster a payment system that creates a disincentive for students to choose primary care. With primary care physicians paid half or less than half than many specialists, the incentive to go into the field has dried up, Goodson said in an interview. Although CMS is ultimately responsible for payment inequity, Goodson said the RUC hasn’t done what it should do to fix it. “That’s where the RUC has failed in its self-appointed mission,” he said. Critics of the RUC’s track record say CMS reliance on the committee has led to procedure values that defy gravity. Among the 2,739 procedure codes for which the RUC made recommendations during the first three five-year-reviews, only 400 led to work values that decreased, a number that critics say is unconscionable. Dr. Robert Berenson, a physician, health policy expert, and fellow at the Urban Institute, said the time it takes doctors to perform medical procedures usually falls over time. Years after tackling what was once an innovative surgery, for example, a surgeon can often perform the same procedure in a fraction of the time. But that efficiency rarely leads to a cut in Medicare value. Since leaving the RUC, Berenson has become a proponent of using objective measures to value physician procedures. “If we are spending $70 billion on physician payments, surely we can find a way to rely on real data to inform the values rather than relying on self-interested estimates,” Berenson said. A 2006 study by the research institute RTI International suggested that using surgery logs may be one way to find misvalued procedures. The study compared RUC physician-reported times for 60 surgery-related codes to data gathered from 148 hospitals’ operating room logs. The RUC-reported times were longer by up to almost two hours. But perhaps the most stinging criticism of CMS reliance on the RUC came in a 2006 MedPAC report to Congress on misvalued procedures. MedPAC said CMS relies too heavily on physician specialty societies and suggested the agency should “establish its own group of experts, separate from theRUC.” So far, CMS has not taken MedPAC’s advice. In response to the 2006 MedPAC criticism, the RUC formed an internal workgroup to indentify potentially misvalued services. It now screens for procedures that fit a list of criteria that might indicate misvalued services, including high volume growth. Among 7,000 individual services paid for by Medicare, the RUC workgroup since 2006 has indentified 853 physician services for review. Among those services, the work value fell for 221, rose for 34, and stayed the same for 177. Codes for 231 procedures are still under review and 76 were deleted. The RUC also recommended revisions to direct practice expenses (the additional costs for providing care including nursing labor and medical supplies) for 114 procedures. The AMA said the reviews led to redistribution of procedure values worth more than $100 million since 2009. It expects a larger redistribution in 2011 if CMS adopts pending RUC recommendations. The GAO, however, has had less praise for the effort. Levy also said the RUC’s high success rate in getting CMS to adopt its recommendations should not be a surprise. CMS medical officers and staff attend all RUC meetings and provide input during discussions, which often influences how members vote. “It’s not really a surprise to me then that once the recommendation is presented to CMS that there are not a lot of changes,” Levy said. Among RUC critics, a common refrain is dissatisfaction with CMS’s reliance on a medical special interest group to patrol procedure payments. “Why does CMS depend so exclusively on a group that is not even representative of the physician workforce?” asked Goodson, the Harvard professor. RUC critics see hope in the Obama administration and the new health care law, which requires the Secretary of Health and Human Services to periodically review and adjust potentially misvalued codes, and to establish a formal process to validate physician work values. In proposed rules issued in July, CMS showed no sign of upending the RUC process, but said the agency does “intend to establish a more extensive validation process.” The agency asked for public comments on possible methods for validating physicians work, including using time and motion studies. In comments to CMS over the proposed rules, the AMA pushed against using objective data from time and motion studies, which it called neither feasible nor affordable. Instead, it suggested the status quo. Joe Eaton is a health care journalist working at the Center for Public Integrity. We have frequently posted, first here in 2007, and most recentlyhere and here, about the little-known group that controls how the US Medicare system pays physicians, the RBRVS Update Committee, or RUC. Since 1991, Medicare as set physicians’ payments using the Resource Based Relative Value System (RBRVS), ostensibly based on a rational formula to tie physicians’ pay to the time and effort the expend, and the resources they consume on particular patient care activities. Although the RBRVS was meant to level the payment playing field for cognitive services, including primary care, vs procedures, over time it has had the opposite effect, as explained by Bodenheimer et al in a 1997 article in the Annals of Internal Medicine. (1) A system that pays a lot for procedures, but much less for diagnosing illnesses, forecasting prognoses, deciding on treatment, understanding patients’ values and preferences, when procedures and devices are not involved, is likely to be very expensive, but not necessarily very good for patients. As we wrote before, to update the system, the Center for Medicare and Medicaid Services (CMS) relies almost exclusively on the advice of the RBRVS Update Committee. The RUC is a private committee of the AMA, touted as an “expert panel” that takes advantage of the organization’s First Amendment rights to petition the government. Membership on the RUC is allotted to represent specialty societies, so that the vast majority of the members represent specialties that do procedures and focus on expensive, high-technology tests and treatments. However, the identities of RUC members are opaque, and the proceedings of the group are secret. To expand on the penultimate point, the current page on the AMA web-sitethat describes the RUC only lists its members in terms of their specialties and organizational affiliation. Their names do not appear. A response to a previous post by me on the subject by the then Chair and Chair-Elect of the RUC suggested that the RUC membership is not quite secret. They stated that “a list of the individual members of the RUC is published in the AMA publication, Medicare RBRVS 2009: The Physicians Guide.” This publication is available from the AMA here for a mere $71.95. However, the book is not on the web, or in my local or university library, and I have no other way to easily access it. Thus, the RUC membership as at best relatively opaque. The fog surrounding the operations of the RUC seems to have affected many who write about. We have posted (here,here, here, and here) about how previous publications about problems with incentives provided to physicians seemed to have avoided even mentioning the RUC. Up until now in 2010, after the US recent attempt at health care reform, the RUC seems to remain the great unmentionable. Even the leading US medical journal seems reluctant to even print its name. That has just changed. A combined effort by the Wall Street Journal, the Center for Public Integrity, and Kaiser yielded two major articles about the RUC, here in the WSJ (also with two more spin-off articles), and here from the Center for Public Integrity (also reprinted by Kaiser Health News.) The articles cover the main points about the RUC: its de facto control over how physicians are paid, its “secretive” nature (quoting the WSJ article), how it appears to favor procedures over cognitive physician services, etc. So the RUC has suddenly become less anechoic. How did the government come to fix the payments physicians receive? Government price-fixing has not been popular in the US, yet this has caused no outcry. Why is the process by which they are fixed allowed to be so opaque and unaccountable? Why are there no public hearings on the updates, and why is there no input from practicing physicians or organizations other than those related to the RUC? How did the RUC become de facto in charge of this process? Why does the AMA keep the membership on the RUC so opaque, and give no input into the RUC process to its general membership? Why is the RUC membership so dominated by procedural specialists? Why were primary care physicians, who made up at least a sizable minority of physicians when the update process was started, not represented according to their numbers? Why has there been so little discussion of the RUC and its responsibility for an extremely expensive health care system dominated by high-technology, expensive, risky and invasive procedures? Without discussing how the incentives for physicians became so unbalanced, do we really expect we can fix them? If we do not fix them, do we really think we can “bend the cost curve?” If we do not control our costs, do we really think that we will be able to make good health care accessible for all? At least now I can say that the issue may really be in play for health care professionals, health care policy experts, and the public at large. See also comments on other blogs: DBs Medical Rants, GoozNews, and Managed Care Matters. Roy Poses MD is Clinical Associate Professor of Medicine at Brown University. He writes on Health Care Renewal. First published 10/27/10 on Gooz News. Both the Wall Street Journal (subscription required) and the Center for Public Integrity carried long stories today describing the inherently conflicted nature of Medicare’s physician payment system, which relies on a secretive committee at the American Medical Association to establish the “relative value” of different services. As the stories point out in mind-numbing detail, specialists dominate the committee, routinely overestimate the amount of time and skill it takes to perform their procedures, and, as a result, walk away with the lion’s share of physician compensation. Shortchanged in the process: primary care and other physicians who specialize in face-to-face consultations with patients. The best medical practices in the U.S. rely on salaried physicians, not doctors compensated at piece work rates. Smart U.S. manufacturing companies abandoned piece work years ago because it was antithetical to producing high quality goods that could compete with foreign manufacturers who used lean, team-based approaches to production. Critics like Dr. Robert Berenson at the Urban Institute and Roy Poses of Brown University on hisHealthCareRenewal blog have been raising a ruckus over the RUC for years. Berenson’s critique centers on how the system distorts Medicare physician compensation in favor of specialists over primary care. Adjust the values, he says, and compensation will be fairer and more doctors will enter primary care. Poses focuses on the obvious financial conflicts of interest of the specialists who dominate the AMA committee, and wants independent outsiders to run the show. Reformers need to take a different tack. Abolish the RUC. Abolish price-setting, too, if we’re going to stick with fee-for-service medicine. Make physicians and hospitals post every rate they charge for every service in a public place that can be accessed by consumers and insurance companies and Medicare. Then send in the anti-trust investigators if competition doesn’t take place and prices don’t begin to fall. Alternatively, CMS should create incentives throughout the system for physicians to become salaried and work in teams (the accountable care organizations given pilot project status in the health care reform bill are a step in this direction). Team-based medicine is our greatest hope for improving the quality of health care in the U.S. while getting costs to, if not go down, at least moderate. Manufacturing learned these lessons decades ago. Firms had adopt team-based lean production techniques because of the threat of foreign competition. The end result was fewer workers, lower costs, and higher quality goods. Alas, health care faces no external pressure. And the Center for Medicare and Medicaid Services, at least under its old leadership, doesn’t appear to have a clue. Near the end of both stories, agency bureaucrats in CMS’s price-setting arm were reportedly considering using time and motion studies to check the validity of the relative values assigned various medical tasks. Frederick Winslow Taylor, indeed! Somehow, I don’t think dragging Medicare into the early 20th century will get the job done. Merrill Goozner is an independent journalist. He maintains a blog at Gooz News. already losing the struggle to keep their heads above water. impact on primary care could translate to real consequences this time. American primary care is a shambles, and it is now clear that it will not be viable in the future unless significant changes occur in our national attitude about its value and in the way we pay for it. While, in other developed nations, 70-80 percent of all physicians are generalists and 20-30 percent are specialists, in America the ratio is reversed, the result of a payment system, the Resource-based Relative Value Scale (RBRVS), that was originally intended to account for and financially lessen the differences between specialties. Instead, RBRVS has evolved to reward expensive care and penalize proactive management, even though the data are unequivocal that higher percentages of primary care within a community results in healthier, lower cost populations. Specialists typically take home at least double the income of the generalist. While the knowledge base and options have exploded in all areas of medicine, the demands on generalists, who must maintain reasonable expertise across all areas, have been intense. Medicare’s payment system, which is the basis for most commercial payment as well, favors specialists in two ways. It pays them a higher rate for their time (implying that what they do is more difficult and more valuable), and it allows them to earn money through procedures that are unavailable in primary care. Under the RBRVS system, the 2005 Medicare fee for a typical 25- to 30-minute office visit to a primary care physician in Chicago was $89.64 for a patient with a complex medical condition (Current Procedural Terminology [CPT] code 99214). The fee is calculated by multiplying the relative value unit (RVU) for the 99214 CPT code (2.18) by the 2005 Medicare conversion factor (37.8975) and adding a geographic adjustment. The 2005 Medicare fee was $226.63 for a gastroenterologist in the outpatient department of a Chicago hospital performing a colonoscopy (CPT code 45378), which is of similar duration to the office visit. Colonoscopy performed in a private office in Chicago, which differs from the hospital setting because the gastroenterologist pays for equipment and nursing time, would cost $422.90. Office visits are considered evaluation and management services (history, physical examination, and medical decision making), whereas colonoscopies are an example of a procedural service. The career-choice implications of these financial dynamics are not lost on medical students, who have been diverted in droves away from what many apparently see as an unrewarding primary care office existence. Between 2000 and 20005, the percentage of medical school graduates choosing Family Medicine dropped from a low 14% to an abysmal 8%. Among Internal Medicine residents, an astonishing 75% now end up as hospitalists or sub-specialists rather than office-based general internists. Of course these numbers beg several questions. Who will oversee care as the boomers enter their most medically intensive years? Who will keep up with the knowledge explosion and manage our individual patients and the nation’s health? There is no question that rapid progress in expert systems and more effective use of medical extenders will help us develop better approaches to evaluation and management, but do we honestly think the nation won’t need more primary care physicians? The American Medical Association, which has sponsored a proprietary, secretive advisory committee, the RVS Update Committee (or RUC) that is heavily dominated by specialists and that has been the main source of Relative Value Unit recommendations regarding Medicare physician reimbursement. CMS (the Centers for Medicare and Medicaid Services), which has, to a disturbing degree, taken the RUC’s advice and implemented their recommendations, apparently without much other outside counsel. In its reports to Congress, MedPAC (the Medicare Payment Advisory Commission) has pointedly expressed its concern over the imbalance in physician reimbursement, as well as over its likely impact on the future of the physician labor force. The American Medical Association (AMA) sponsors the resource-based relative value scale update committee (RUC) both as an exercise of “its First Amendment rights to petition the Federal Government” and for “monitoring economic trends . . . related to the CPT [Current Procedures and Terminology] development process. Functionally, the RUC is the primary advisor to CMS for all work RVU decisions. The RUC has 30 members (the chair only votes in case of a tie) with 23 of its members appointed by “national medical specialty societies.” Meetings are closed to outside observation except by invitation of the chair. Only 3 of the seats rotate on a 2-year basis. Other members have no term limits. Seventeen of the permanent seats on the RUC are assigned to a variety of AMA-recognized specialty societies including those that account for a very small portion of all professional Medicare billing, such as neurosurgery, plastic surgery, pathology, and otolaryngology. Proceedings are proprietary and therefore are not publicly available for review. Traditionally, more than 90% of the RUC’s recommendations are accepted and enacted by CMS. 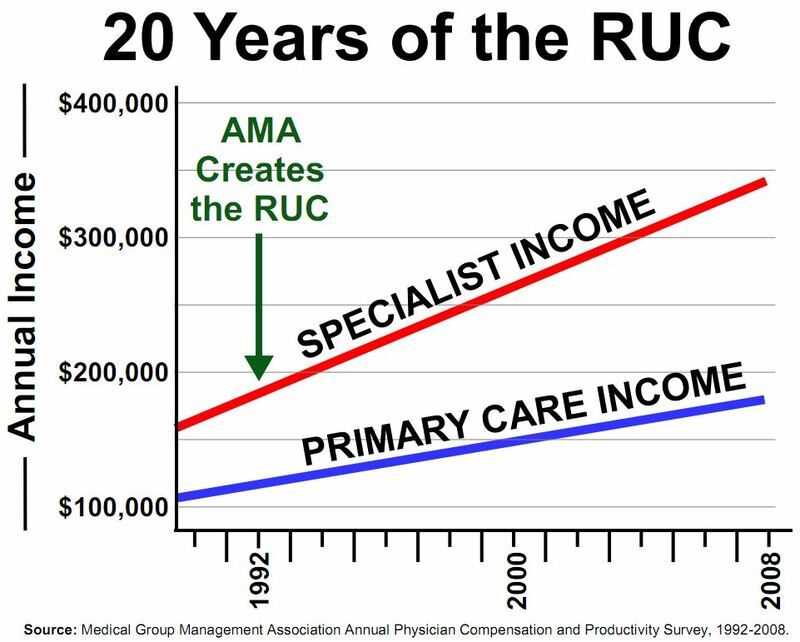 In other words – and it is important to be clear about this – the premeditated actions of the specialist-dominated RUC, operating under the auspices of the AMA and in alliance with CMS, appear to have played a direct role in the current primary care crisis by driving policy that financially favored specialty care at the expense of primary care. Equally important, this relationship has been key in establishing drivers of our health systems relentlessly explosive cost growth with its attendant impacts on the larger US economy. The RUC has powerfully influenced CMS decision making and, as a result, is a powerful force in the US medical economy. Furthermore, by creating and maintaining incentives for more and more specialty care and by failing to accurately and continuously assess the practice expense RVUs, the decisions of CMS have fueled health care inflation. Doing so has affected the competitiveness of US corporations in the global market by contributing to years of double-digit health care inflation that have consistently increased the costs of manufacturing and business in the United States over the last decades. Certainly, these revelations should give pause to primary care physicians, and constitute grounds for reconsidering the relationships they and their specialty societies’ have with the AMA. Not that the AMA would care. Their members represent only a small minority of American physicians, and only a relatively small percentage of those are generalists. But our Congressional representatives and the American people almost certainly don’t know these details. Most Americans and, for that matter, most health care professionals, are utterly unaware of the roles of the AMA and CMS in shaping the primary care crisis and our larger health system problems. Most believe the AMA speaks for all physicians. The consequences are upon us. There is little value now in recriminations or in arguing with the AMA about their role. That would only waste precious time and resources, and distract us from the real task, which is to re-stabilize primary care. The discussions about primary care’s dilemma and how we got here have been led by highly respected and credible thought leaders, and taken place in and on prominent health care publications and websites. But realistically, the conversation has taken place primarily within the health care community. To effect change, the American public and, more importantly, influential non-health care decision-makers, must be made aware of the problem, and what its dynamics mean for their and the nation’s short and long term prospects. Only then can the hope exist of replacing the old paradigm. Some of that is already afoot. The National Committee for Quality Assurance recently proposed a new model for primary care reimbursement that would reward physicians for their time spent managing chronic conditions and communicating with patients. What is promising about this effort is that it appears to have the buy-in of the major primary care specialty societies, and the involvement of major insurers and employers. The question now is whether it can gain the traction required to rapidly change what we ask of primary care physicians and how we pay them. Another interesting, and perhaps more far-reaching proposal (Download finalpcppaper.doc) has been made by Norbert Goldfield MD and his colleagues. Dr. Goldfield is a highly respected health care innovator, who has been a central force behind the development of 3M’s health care analytical tools. 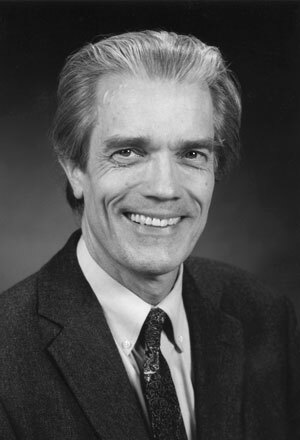 His group has argued that primary care physicians should be paid for the services they provide, multiplied by a coefficient that appreciates the patient’s burden of illness (or severity) and then multiplied again by a coefficient that appreciates that physician’s willingness to engage downstream providers as the patient’s fiduciary. This is an entirely different role than “gatekeeper,” and would require the PCP to be directly involved in specialty care as the patient’s advocate and guide. Physician performance would be gauged against quality and cost values expected under a traditional, non-PCP-involved system. Reduce unnecessary specialty care services. Reduce the income disparity between primary and specialty care. Re-incentivize young physicians to enter primary care. One last observation. The background reading for this post reminded me of Jared Diamond’s great, cautionary book, Collapse. Diamond describes society after society in which leaders knowingly made decisions that undermined their survival. But they couldn’t course correct because the decision-makers were benefiting from the current circumstances. I wonder whether we’ll be able to avoid that fate. Finally, deep thanks to my friend and colleague Roy Poses MD at Health Care Renewal, who has written about these issues as well, and who brought them to my attention. Bodenheimer, T. et al., “The Primary Care-Specialty Income Gap – Why It Matters,”Annals of Internal Medicine, June 2007; 146: 896. Goodson, J., Unintended Consequences of Resource-based Relative Value Scale Reimbursement, JAMA, November 21, 2007; 298: 2308 – 2310. Maxwell S, Zuckerman S, Berenson RA. Use of physicians’ services under Medicare’s resource-based payment system. N Engl J Med 2007; 356: 1853-1861. Newhouse JP. Medicare spending on physicians – no easy fix in sight. N Engl J Med 2007; 356: 1883-1884. Poses, R. A (Well Deserved) Rant about the RUC, Health Care Renewal, 11/27/07. 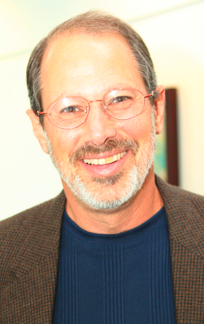 Brian Klepper is a health care analyst and commentator based in Atlantic Beach, FL.